My weeks and weekends have been filled lots of creative things this past month. One night I got the itch to scrap the end of summer and beginning of autumn. The weather had slowly been getting warm rather than hot and we needed one bonfire night to start autumn off right. There was perfect weather the day of the bonfire. By the end of the night we were sated on woodsmoke and hotdogs and covered in ash. The start of autumn also reminded me of the upcoming holidays, while I detest winter and all the cold that comes with it, I can’t complain about all the great times I get to share with friends. I’m looking forward to the holidays this year even more because so many close friends have moved away in the past couple of months. I can’t wait to see them again! 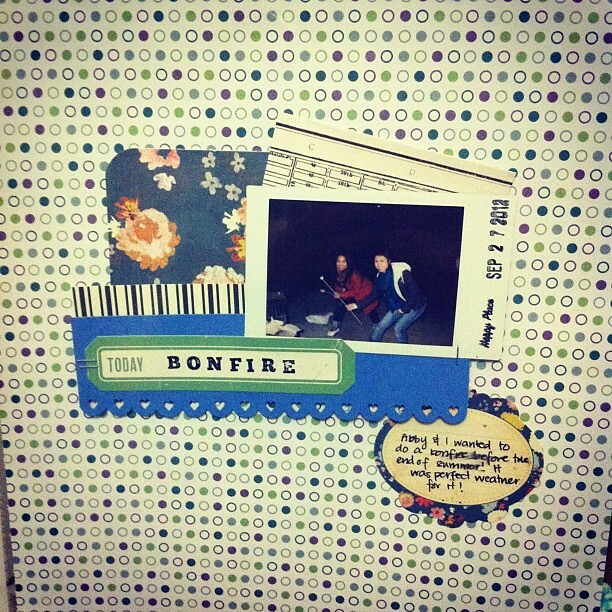 I finally got to use some of the paper that I had purchased this summer for the bonfire layout. Normally I only get the knitting bug halfway through winter and by then there doesn’t seem to be enough time to finish any projects. 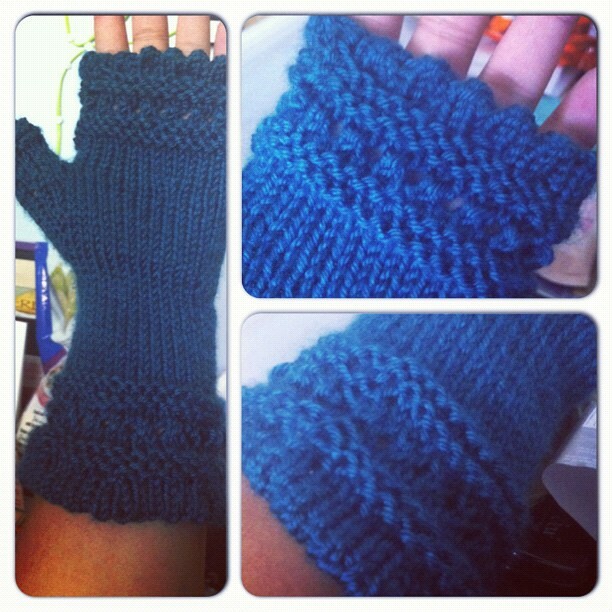 This year, I caught it early on and somehow managed to start and finish my very first pair of mittens within 2 days! Well, to be honest, it took a week because I stopped during the week, but as soon as the weekend came around, I finished the second mitten within a day. I love the colour and how warm they are. I think my next goal will be to knit one in a natural fibre rather than a acrylic. This entry was posted on October 29, 2012 by debbe. 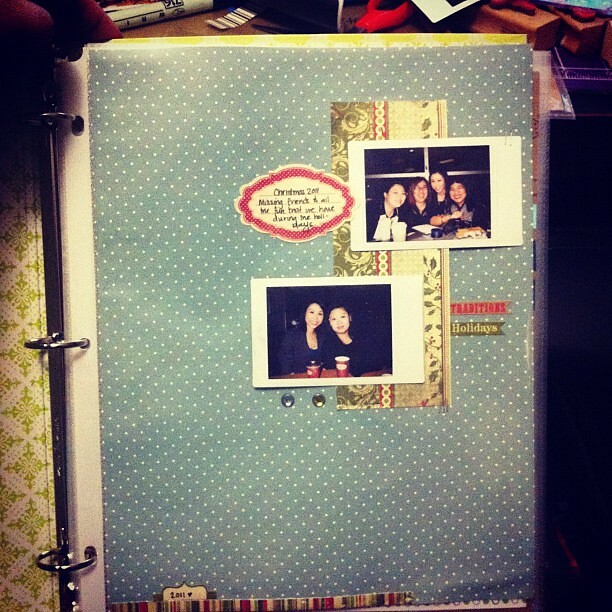 It was filed under craft and was tagged with autumn, beginning of autumn, bonfire, bonfire night, christmas, Friends, fuji, holidays, instagram, Instax, knitting, mittens, paper, Polaroid, scrapbook, scrapping, summer.